Avant-garde Saxophonist Colin Stetson returns in 2017 to bring us his first non-collaborative album in nearly four years, since the final installation in his “New History Warfare” album series. Stetson has been busy the past few years though, releasing a critically acclaimed album with violinist Sarah Neufeld as well as a reworking of Gorecki’s 3rd Symphony. I was first introduced to Colin Stetson through a video of him playing, as well as breaking down the structure of a song called ‘Judges‘. I was absolutely amazed at how in tune he is with his instrument. Using an amalgamation of different breathing techniques, and precariously placed contact microphones on his saxophone (as well as on his throat) Stetson creates these amazingly dense and layered pieces that were complex but also beautifully meditative. This process continues on this latest album. Although Stetson has cited this album has a greater influence from IDM artists which is immediately obvious right from the opening title track. “All This I Do For Glory” is like if Aphex Twin could play saxophone. The pumping beat and low guttural bass line juxtapose perfectly with the loud droning melody that Stetson pushes out of his sax in a way that make the track feel like a sister to “Acrid Avid Jam Shred”. Stetson also brings complex percussive patterns to the table on tracks, in a similar way to Autechre with their signature glitchy IDM style. There’s an amazing quality to all these tracks though that as complex as it can get and no matter how many layers stetson adds, this album still remains very contemplative and can garner this huge sense of introspection in the listener. Tracks like ‘Spindrift‘ have an ambient quality that is almost stress relieving. That’s not to say this album doesn’t convey a huge amount of emotion. With tracks like the single ‘In The Clinches‘ you can’t help but sense the anger and frustration. The album closes with the 13-minute epic “The Lure Of Mine” which truly demands your focus, which even at it’s peak must only be half the focus given by Stetson himself to perform such a piece. That’s what I find even more incredible about not only this album but Stetson’s music as whole, he can create these hugely evocative and layered pieces all in one take with no need for any overdubs. 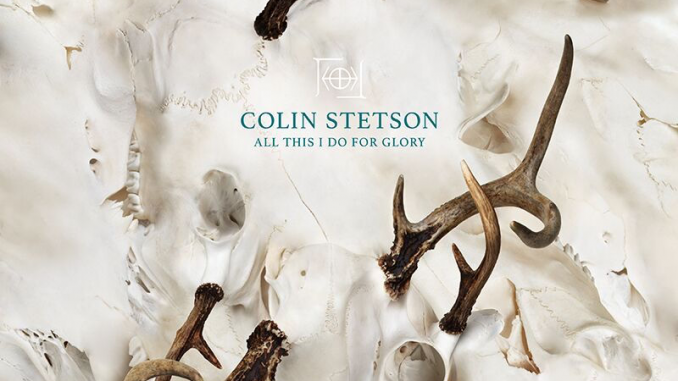 Melding influence from IDM music, Stetson has brought to the table an album full of incredibly demanding but engaging pieces, making ‘All This Is I Do For Glory‘ is an truly the most enticing albums to come out this year. ECHOBELLY have announced the release of their sixth album, their first in 11 years.